Box released a new feature on Thursday that allows its customers to create and edit files from within the cloud storage service’s application. Dubbed Box Edit, it works with the common file formats such as Microsoft Word docs, Photoshop files, and even AutoCAD files. It has really become the virtual hard drive for any computer or mobile device. With the proliferation of mobile device and even computers with rather small hard drives (we’re looking at you Chromebooks), finding alternative forms of storage has become essential. Sure, we could lug around a USB thumb drive, but how exactly would that work with a smartphone or an iPad or tablet device? What’s more, since people are starting to store their data in the cloud, it only makes sense to make it possible to not only keep them there, but also to create and edit. Box Edit will work on desktops, mobile, and tablet devices. 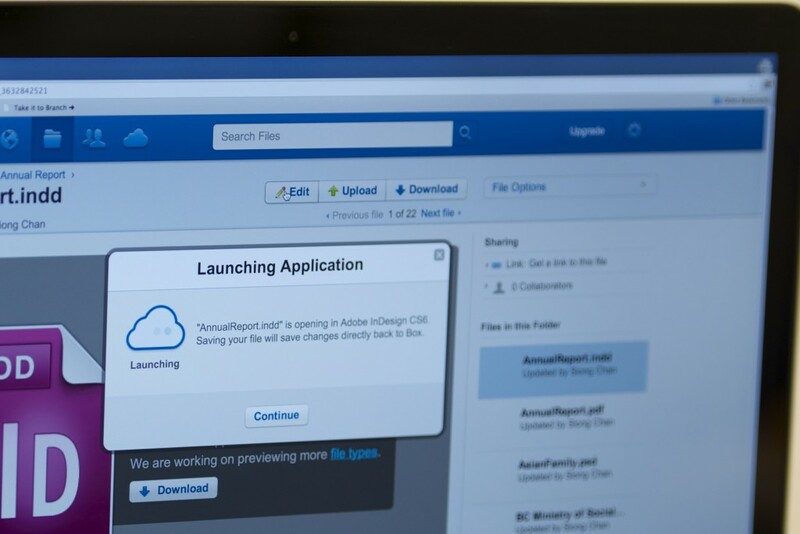 Once installed, users can create new files like Word, Excel, and PowerPoint. 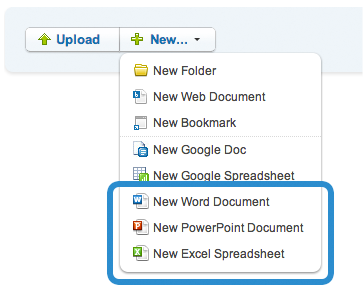 Simply add a title and the new document is instantly created within the associated native app. If you wish to edit images, videos, Office documents, or anything else, it can be done within Box. The company says that when you find a file you wish to tweak, choose the edit option and it will be opened in the appropriate native app (PSD files will be opened up in Photoshop, etc.). After you’re done, Box will save the file back into the cloud without needing anything to be re-uploaded. Having the ability to use Box as your personal C: drive in the cloud is great, but the beauty of being able to access the information no matter where you are is the core of being in the cloud. So what happens if you have a Photoshop document and need to make edits to it while you’re on the road? If you have an smartphone or a tablet device with Box installed, then you might be able to use the OneCloud suite of services (composed of more than 150 apps) to help edit the file. Through Box Edit, the company’s customers now have an option to make the necessary updates no matter where they are or needing to figure out how to make edits. And with Box’s recent integration with Microsoft’s Outlook client, it appears the traditional hard drive might be moving closer to extinction. It’s also definitely important to the 37 percent of Fortune 500 companies that rely on Box to store their files, especially for those employees who are often on the road and might be using company computers — being able to have a centralized storage area without needing to worry about which files are located where is vital to the success of any project. Box Edit helps the company get a leg up on its competitor Dropbox, who recently also formed a partnership with Yahoo and acquired Mailbox. Earlier this month, Dropbox updated its desktop client with quick file sharing and other improvements. Interesting to note, Box Edit also comes with an auto-update ability whereby the service will continuously and automatically push new features to you once they become available.